Winmail Opener + helps you instantly open and view winmail.dat attachment. Sometimes you got an email with an attachment named 'Winmail.dat', you don't even know what it is. Actually if you receive an email message sent from a Microsoft email app such as Outlook or Microsoft Exchange, the message might include an attachment with "winmail.dat" in the name. 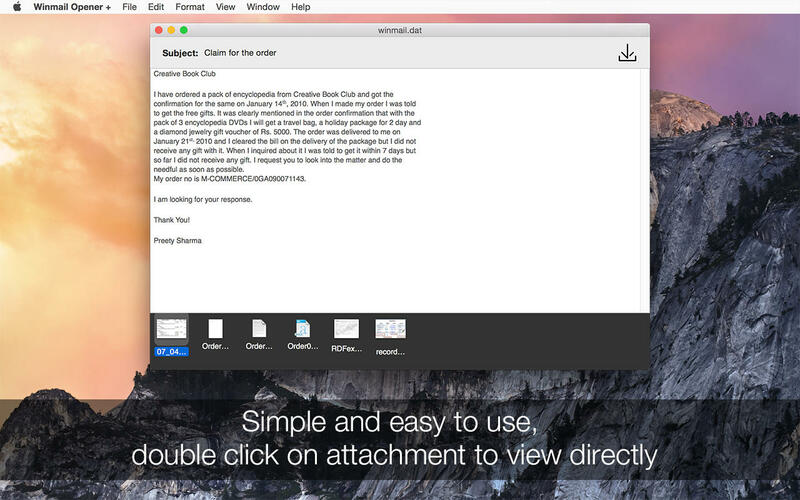 You don't need to ask the sender to resend the mail in plain text or HTML, simply open the winmail.dat file with Winmail Opener +, you can view the original mail content and all the attachments instantly. * Open winmail.dat file, lets you view, open or export files within the winmail.dat. 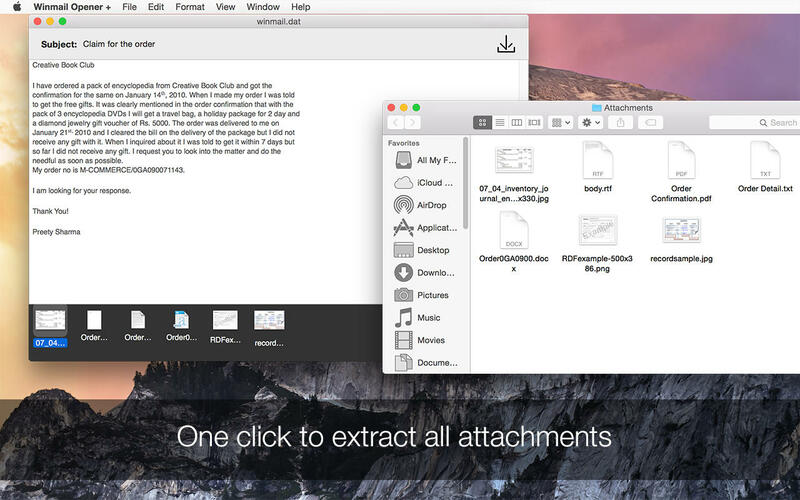 * Easy-to-use application, you can open a file, drag and drop files to it. 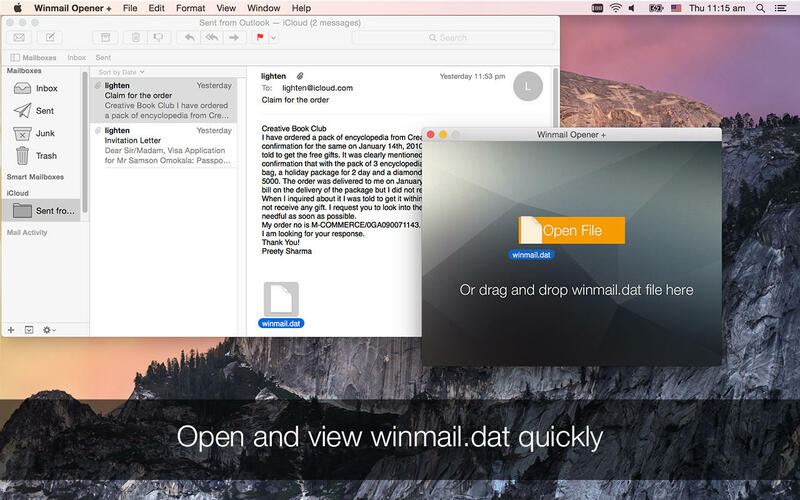 * Simple and fast, decode and view winmail.dat file instantly without waiting. Fixed a hang when adding certain type of winmail.dat.